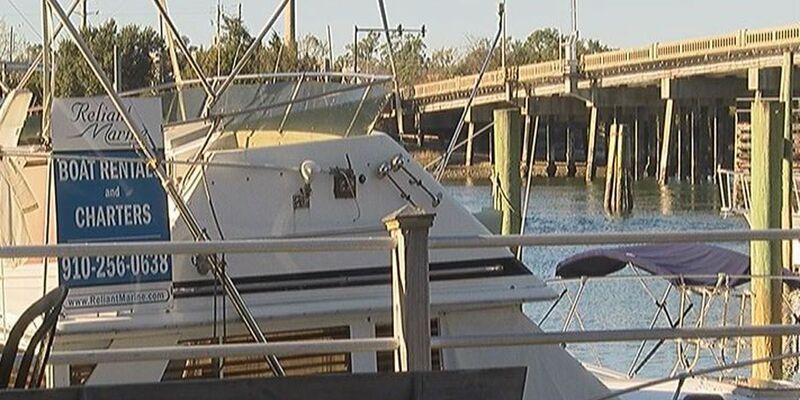 NORTH CAROLINA (WECT) - So far 16 people have died in 2015 due to boating accidents, according to NC Wildlife Resources Commission Sergeant Brandon Dean. That's more than half the number of people who were killed in similar accidents in all of 2014. Dean said the majority of the deaths have been caused by people falling out of the vessel and drowning. With the high death toll and this week being National Safe Boating Week, officials are pointing out the importance of water safety. National Safe Boating Week is May 16-May 22. The week is dedicated to promoting safe and responsible boating. U.S. Coast Guard statistics show that drowning was the reported cause of death in three-fourths of recreational boating fatalities in 2013, and that 84 percent of those who drowned were not wearing life jackets. Dean stressed the importance of wearing a life jacket while riding a boat. Make sure to have a sober person driving the boat. Not only is it against the law to drive a boat under the influence of alcohol, it can also lead to deadly situations. If you fall out of the boat, Dean said to make sure to stay with the boat and not try to swim to shore. He also noted that everyone should take a boater safety education class before hitting the water. Commander Rich Barnet of the Cape Fear Sail and Power Squadron said when you're out on the water, you need to make sure you have a float plan. A float plan is when you tell someone where you're headed and when you plan to be back. He added that boaters need to watch their speed and have safety flares, a fire extinguisher, throw pillows and a bell, whistle or something that makes a loud noise. Barnet says simple practices could have prevented many of the boat accident deaths. "Well it scares me, first of all, it's tragedy and my hope that there are no deaths," Barnet explained passionately. "My understanding of statistics of that sort is most of them are related to drowning, okay the first and most foremost thing to prevent that is to wear your life jacket." Lastly, Barnet went on to say that people need to check the weather. He says it's imperative for boaters to turn back if they get caught in a thunderstorm or severe weather.